The emergence of the Indian suppliers in HRO: the answer to HRO's slowdown? One of the most interesting discussion points I had on my recent visit to India was centered on the eagerness of some of the India providers to infiltrate the HRO market. I recall the entry of the Indian top tier into HRO three years' ago, and have to admit I was skeptical. Not many people believed you could take broadscale HR services offshore and run them successfully, while saving money for clients at the same time. However, times have really changed since then, with the Indian top-tier now competing aggressively for hybrid IT-BPO contracts. What's more, the Indian providers are very good at working out how to take on back office work remotely. It's their focus - and eagerness - to take on ground-up processes, such as payroll, data management, document fulfillment, which is driving a breath of fresh air into the flagging HRO business. The old HRO model was focused on providers sub-contracting out a plethora of point-solutions to niche vendors in areas such as payroll, benefits administration, workforce management, recruitment and compensation tools. The value to the client was that they only had to deal with a single "end-to-end" provider for all these services, and the provider managed all these subcontracted services under a portal layer, while negotiating arrangements that would ultimately deliver some cost savings back to the client from its original budget. What resulted was a scale issue - the "end-to-end" providers struggled to find economies of scale for themselves (it's not easy when most of the work is being subbed out), and in addition to that, too many points of failure emerge, when too many parties are involved in delivering the operations. More recently, suppliers like IBM have focused on taking more of the HR work into their offshore delivery centers, for example with its recent Bristol Meyers engagement, in order to leverage more economies of scale and lower cost labor resources. They also have the ERP-enablement skills offshore to help develop and manage commonly used HR platforms, namely SAP and Oracle. This is where TCS and Wipro have begun to impress, with some notable inception HRO clients in the last two years. They are willing to develop ground-up competency in areas such as payroll, where many of their western counterparts have opted to subcontract to the likes of ADP and Northgate (ARINSO) in the past. They understand the cost-leverage they can pick up by taking on these processes offshore, in addition to driving their "Platform BPO" approach, where they can take on companies ERP solutions and dovetail the IT services with their corresponding business processes. What's more encouraging, is the fact that they are prepared to move quietly into client situations, prove they can take on smaller piecesof work successfully, in order to win larger outsourcing contracts in the future. In three short years, we have seen the leading Indian firms break into the top tier of BPO services with a pragmatic approach to taking on routine work and moving up the value chain. Will this provide a new direction for an HRO industry that has suffered from a lack of scalability? You tell me! HR Outsourcing as understood in US and UK markets focusses on Pay Roll processing on a local platform. This is traditional, and there are well entrenched players with considerable advantages of having done these for over 3 decades. Hence, it may appear that the HR space outsourcing is difficult for new players (Indian or otherwise). HR is a large area where payroll is a small (but substantially operations intense) portion of outsourcing. 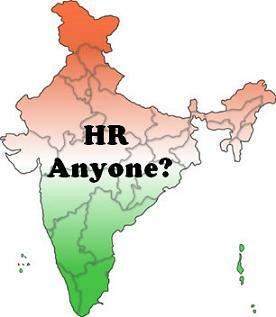 All HR outsourcing efforts outside of "Pay Roll" have been offering a level playing field for new entrants from India. In the pay roll space too there have been opportunities for Captives and Sub contracting to India ( as long as the "privacy" expectations are addressed. To cut the long story short, HR ( like many other areas) is an area of opportunity to Indian offshore suppliers and they are seeing traction already. As in other areas, advantage will be there for players who have deep pockets to invest in the HR practice and for those who have a strong IT capability. This idea resonates well with your observation of the initial successes of TCS and Wipro. Yes. The Indian firms can definitely scale up and have all the capabilities and requisite skillsets. Well a similar question was asked about financial accounting servcies when IT programming/services were successfully outsourced to Indian companies. The customer has to underline what they are comfortable being done remotely and draw up a process map accordingly. Ultimately it is all about breaking the goals into smaller tasks or Processes. Payroll is an old successful story. Resource planning and organisational mapping with hierarchies is the new terrains which the Indian firms could target with a mix of consulting expertise (which already exists in these firms). Indian firms have moved up the value chain from just being a remote vendor into being a Partner in realtime engaging in strategic decisions effecting the future outcomes of the customer. All this comes with the side effects of outsourcing , but at the end of the day it is all about doing business somewhere in this flat wired world. It’s important to understand that it’s not one-way. The question should not only be whether the developing countries can be successful in providing HR Outsourcing Services to the developed ones - It’s a two-way road. A more important question is whether the developed countries can be successful in utilizing the advantages of global expertise and scale in India or otherwise, in order to stay competitive. As long as we don’t understand holistically and respond cumulatively to the opportunities and issues associated with global sourcing, and keep making the demarcation strong between the onshore and offshore– we’ll keep on limiting our success. We need to look at the BPO issues not just as customers alone OR outsourcing vendors alone. We together as partners need to analyze each other’s strengths, capabilities and weaknesses, and capitalize on them to each other’s advantage by aligning our business models and delivery frameworks to attain a shared success through such BPO engagements. All in all, it’s high time that we grow the BPO business models out of the master-slave / onshore-offshore mind-set and rather think to aggressively charge our business models by availing opportunities presented by global talent pools. Strategically carved out and collaboratively executed processes made possible through bundled IT/BPO contracts are the future! (The debate about onshore, offshore etc. would start loosing relevance as we move on to the next decade). Any process that's (a) mostly culture insensitive, (b) information intensive and (c) where the knowledge base is well known and widely available is capable of being offshore-outsourced. HR processes fit the bill in all three respects, so no surprises there if its being outsourced. I had co-founded and led Cerulean till 2007 and one of our business lines was HR outsourcing, where we worked with an US east coast based consulting company in first developing HR software products and then moving on to using the product platform to run HR processes as a shared service. On a somewhat different topic - offshore outsourcing is no longer the domain of large companies (large companies, large outsourcers). I've seen hundreds of small businesses in the USA leverage offshore outsourcing to survive and win in the marketplace. Ani: I completely agree that most HR processes fit the "outsourceability" criteria, but there has been such resistance against moving HR work offshore in the past due to privacy, security and cultural issues. It's been a process in some instances of firms getting used to offshoring other processes first before seeing some HR processes as a natural candidate also. HR is one area where there is less patience for trial and error initally, and firms with minimal offshoring experience are quick to criticise operational issues. Ravi: Payroll is the "hub" HR processes for the vast majority of European HRO engagements, and an important piece of many US engagements (although there is usually a great deal of cost leverage in benefits admin). What's stopping the Tatas of this world going after ADP and Ceridian's core payroll business? Isn't this work highly suited for an offshore environment? The Indian offshore service providers have demonstrated there capabilities in delivering both ITO and laterly BPO to a very high standard of quality and lower costs - delivering real value for money. In the case of any project based activities within the scope of the services then care needs to be taken to ensure that robust project management and governance is in place to avoid the risk of project overrun and cost escalation. With the routine repeatable processes the Indian offshore providers are not only superb at taking over these processes but also refining and improving them. However, India is becoming a victim of its own success and has very significant churn within its offshore service provider companies. People are constantly moving between companies for better jobs and more money. People with good English language skills are being moved up the value chain in order to earn higher salaries and for their employers to retain them. This is causing two problems for the Indian service providers. Firstly the language skills of people in the call centres has deteriorated quite significantly due to movement up the value chain and oversubscription of these services. Secondly, salaries in India are increasing at an alarming rate with some estimates as high as 17% annually although I would put the estimate at around 10%. This is closing the gap between the onshore and offshore salary differential at an alarming rate and has caused some of the Indian service providers to offshore services to other countries to try and keep their costs down. For people intensive activities, which is most of the ITO/BPO services being delivered from India, this has a very significant impact on the ability to offer the cost/price differences enjoyed by customers of offshore services. I am certainly seeing a growing number of companies considering offshoring to other countries such as China or Mexico where salaries are still very low. But, a word of caution here, these countries certainly don't have the same level of infrastructure and maturity in service provision as India....yet. Let us take a step back to genesis of the differentiation brought in by the so called (refer to BusinessWeek article: IBM vs. Tata: Who's More American?) Indian players. There were some very common themes about what they did, though the extent of execution varied between companies. 1) Process vs people: People became a part of the process. So much so that having a younger average age became an advantage in terms of agility, commitment, work ethic etc. 2) Client responsiveness: Though the degree varied (I would argue that TCS was clearly the vanguard), the intention was very much visible. 3) Investments into the future: The high margins that these companies generated initially were not wasted away in some fanciful indulgences. Money was very carefully invested into engines of growth, asset creation, productivity tools etc. This gave them a leverage that traditional players like IBM, EDS, HP, Accenture etc were hard pressed to match. 4) Challenged to grow: From TCS to CTS none of the tier 1 to tier 2 players have reached a complacency mode. They are challenged by either internal or external forces (like the stock market) to constantly grow. They will strive to find ways to add value to the clients. 5) Business process integration: Internal business process integration is much more tighter, having grown out of offshore centers as opposed to starting a center in hindsight and then trying to backward integrate. This especially helps in turning around a concept to execution, in quick time. Does HRO really come as a surprise if you examine all the above factors? One might ask - ‘why now’!! The answer lies mainly in point 2. Companies, especially in mature outsourcing markets, have explored different avenues for process and cost optimization. HR has been the step child of IT investments. Even though HRO has existed for a long time it was not really a part of the transformational agenda. Now companies are looking at their HR process and systems, comparing that with something like F&A and asking the question - how do we leap frog the evolution? That’s where HRO and especially platform based HRO is becoming more and more attractive. HR Outsourcing is already practiced in many organizations in the US. In fact many have branches of individual specialized outsourcers managing, employee benefits administration broken to Healthcare, 401K, and other Long term/short term basis apart fronm the Payroll processing,Recruiting etc. There is the soft side of HR to deal with employees on a personal basis, safety considerations, facilities etc that also have been partly outsourced. Now in that model, adding offshore component may be easy for those organizations that have already managed ITO and BPO well. But it may be problematic for those who did not manage well or who pulled out of offshore model for HR - it may be interesting to see how that develops. There are also pockets of excellence in coaching leadership on HR from India operating from various locations including Bangalore. It is a good article that brings forth the Services vendor approaching this market segment. This would also explain one of the reasons that the recruitment agency industry (especially online) is booming in India at the moment. Furthermore, with the current economic climate, a lot of companies are now looking at Outsourcing to ensure survival rather than simply looking at the cost-effectiveness aspect. i am agree with "Devesh Singh". Very Useful discussion, i have read this and i think this blog is very useful. HRO industry has come a long way when it comes to business with offshore partner or onshore partner. Both Offshore and onshore HRo fetches a huge business for companies and it is kick start for any company to have relationship with a vendor to understand the question Know, what & how of their vendors & their business model and services and explore new business opportunities. It has a promising future.